Lemon Zest Substitute – What can you use ? ​Lemon zest can give a light citrus boost to some recipes, but what if you are all out of fresh lemons? What can you use as a lemon zest substitute ? What is Lemon Zest ? Lemon and Lime Zest is the outside layer of a lemon. The lemon's fleshy Yellow covering or peel is packed with lemon flavor. However, it is very important to just get the peel and not the white area underneath(the pith or the rind). The pith is often very bitter and lacks in the lemony taste. So, if your peel is deemed unusable, do not go for the next layer. Instead, cut the lemon and use the juice inside. A medium lemon will give about 2-3 Tablespoons for Juice which will give a close equivalent to the lemon zest itself. 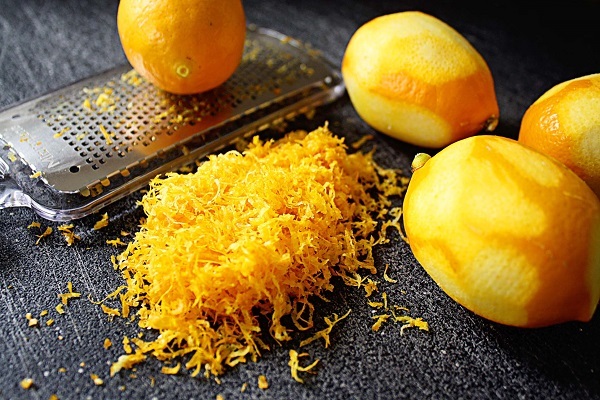 Lemon Zest is always freshly grated. It can be refrigerated for a longer shelf life, but becomes soggy quickly. The zest can also get dried out when left out on the counter, rather quickly. So, fresh is best. ​Lemon peel is the is all of the skin peeled away from the inner fruit. The peel contains the white inner part known as the pith. The pith tends to give the peel an added bitterness that the zest avoids. The peel is best used in dishes that require a long cooking time like stews or occasionally curries that are slow cooked. It is also excellent when added to various roast dishes. Some recipes will call for the use of the lemon peel rather than the zest and vice versa. But, what if you don't have a fresh lemon? Then a lemon zest substitute is in order. The next and best substitute is lemon juice from a bottle. This is often concentrated so add to taste, as it is hard to tell how concentrated the particular bottle you might have. Bottled lemon juice can last up to 6 months once opened. Check the bottle. This is a great substitute to just keep on hand for those occasions. Bottled lemon juice can be used in baking, cooking and drink substitutions. Be forewarned that when drinking expired lemon juice you can make you ill.
Citrus Peelings from Any Citrus Fruit will also Work! So, no lemon juice, lemons or peelings, what else? Do you happen to have some limes around? This also can be fresh or bottled. 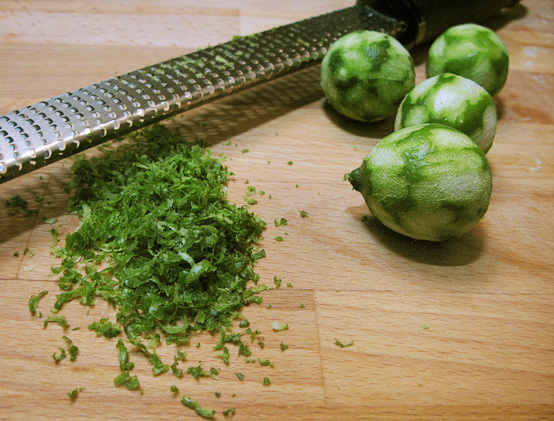 The fresh limes can have the zest from the peelings as a very good substitute. Or the juice as well. In fact, any citrus fruit that you have on hand will work in a pinch and probably be the best option for substituting lemon zest. Lemons and Limes aren't as common as say Oranges and Grapefruit. Maybe those tangerines that everyone packs for lunch? 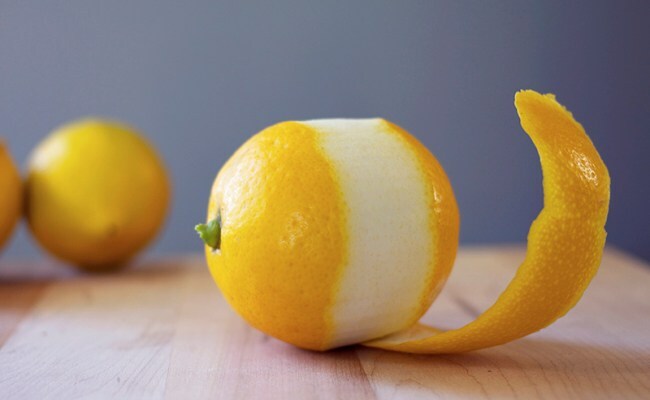 Any citrus fruit bares a flesh outer peeling that is packed with flavor. Always remember to use the colored portion of the fruit, as the white area tends to lack that citrus taste as sell as can be a bit bitter. For other citrus fruits use equal amounts. If it calls for 1 tsp of lemon zest that use 1 tsp substitute. Did you know that you can also make lemon extract to avoid this issue in the future. So, you don't use lemon often but when you do, you have very little options to substitute the lemon zest. The next time you purchase a lemon, why not make some extract for the future? Lemon extract is easy to make and has a very long shelf life. This is mostly for baking and cooking, however, it could even be used in alcoholic drinks. To make, you just need to grate your lemon and add the zest to vodka. Vodka has a very low level of flavor but acts as a preservative. This is a great way to have lemon zest on hand and not worry of getting sick. And, simple to make too. « What Is Farina and how do you make it ?